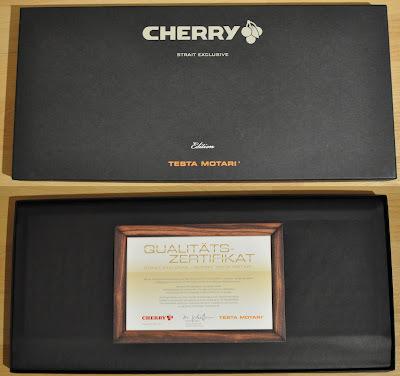 I got a 'CHERRY STRAIT Exclusive Testa Motari Edition' keyboard at Christmas from my girlfriend. 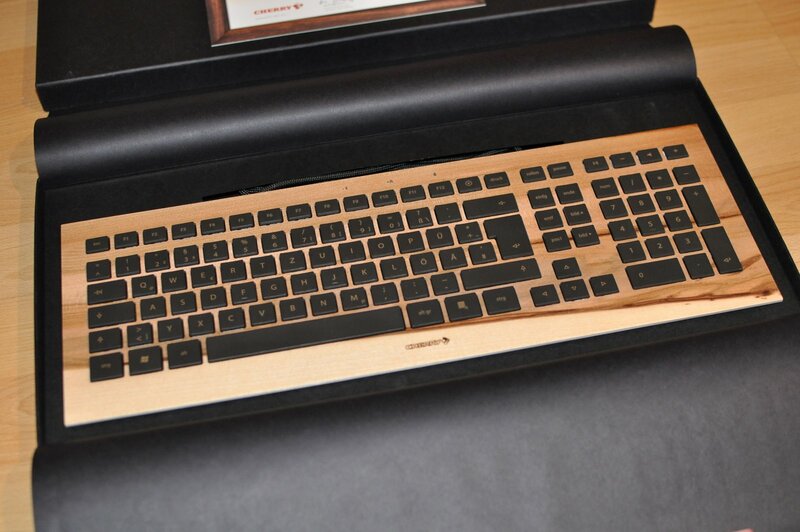 It's a really exclusive keyboard. The top of the board is made out of wood veneer. 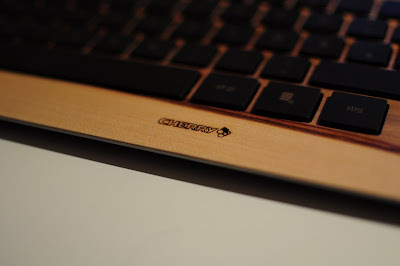 Since each wood is unique as a fingerprint, no keyboard looks like the other. 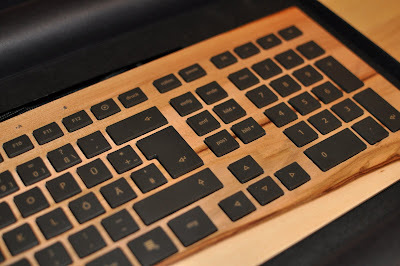 My keyboard was made with satin walnut, but you can get them also with vavona burl or macassar ebony. 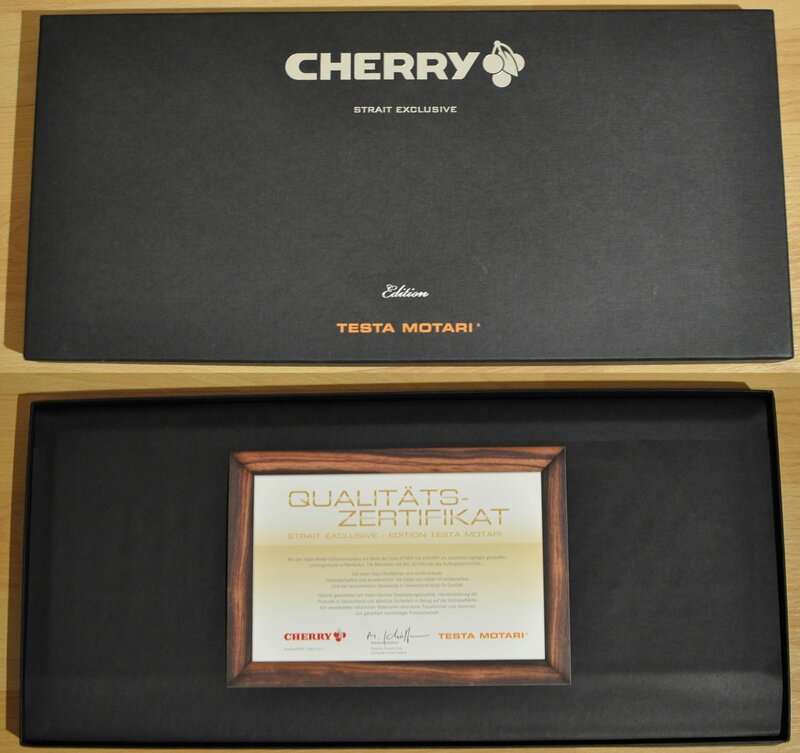 The veneer used is certified for sustainable forestry and no tropical wood was used. The keyboard was derived from the 'CHERRY STRAIT Corded'. The wood was glued to a aluminium plate. 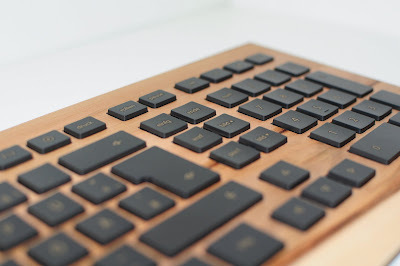 Thanks to that detail the 'Testa Motari Edition' is much more torsion-resistant and not that wibbly-wobbly as the original keyboard was reported in some tests (e.g. here). 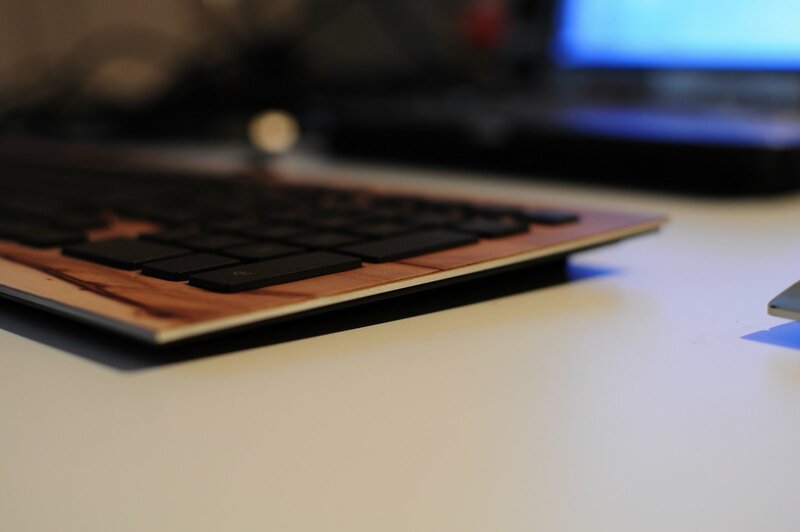 It's a really cool keyboard with a nice to touch surface. As you can see in the following pictures, the device is very flat. 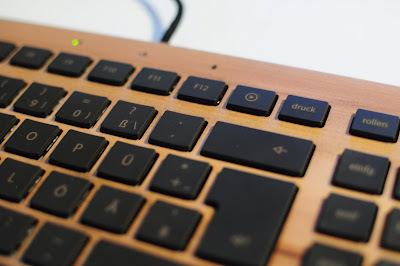 From the ergonomical point of view I miss a way to change the inclination, but it's comfortable to use anyway. I guess you have always to wash your hands before using it, since the wood isn't sealed or varnished. The key layout needs getting used to: four of the five multimedia keys are on the top of the numeric pad but the 'Play'-key is located between the Print/SysRq key and F12. Also the block between the main keys and the numeric pad is modified and the 'fn' keys are not grouped compared to a standard keyboard. Résumé: It's an expensive but really nice keyboard! Thanks for the present!